Some folks might consider the 2014 Chevrolet Camaro refresh to be simply whimsical, that there’s no rhyme or reason to the revised front clip, or the wrapping effect of the new rear tail lights. But as Camaro Program Engineering Manager Mark Dickens points out, there’s a lot of purpose for the Camaro’s new design. Starting with the front fascia, the lower grille was expanded and the hood extractor was added based on aerodynamic principles learned from the Camaro ZL1 — allowing for better airflow as the pony car gets up to speed. In effect, the upper grille is thinned out, giving the impression of an even wider stance — a theme that carries over to the rear LED tail lights as well. I really like the 2014 Camaro. I really like the 2014 Camaro. I really like the 2014 Camaro. I really like the 2014 Camaro. 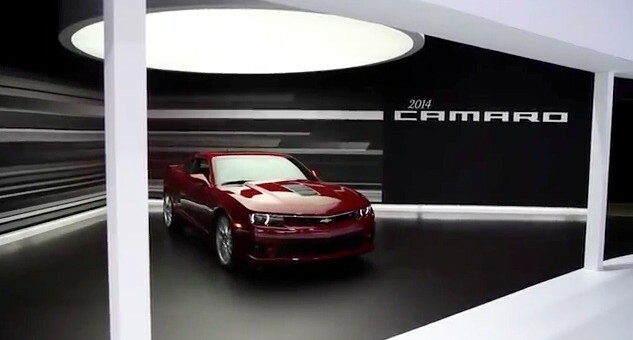 I really like the 2014 Camaro……..
I’m trying to figure out what i can do to trade my 10 ss for one, probably the 1le as the z/28 will be too expensive. I met Ed of Chevrolet at the Chevy Fest 5 this week-end and he could not have been nicer. I love the new Camro and I love the GM brand. Have owned three new Corvettes and probably have had 15 company cars that are Chevrolet. I currently dirve a 2014 Malibu LTZ and have built a 2001 Z 28 with a Corvette engine.